Now everybody can afford a Windows Phone, Nokia has announced Lumia 510, their most affordable Lumia phone that will cost approximately $199 (USD). 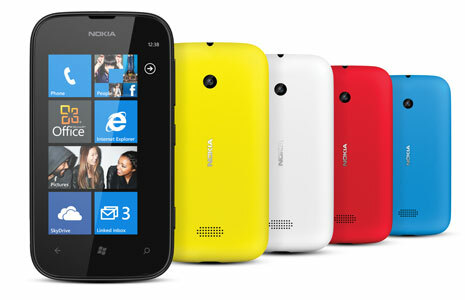 The Lumia 510 is a stylish, entry-level smartphone that comes in five eye-catching colours: red, yellow, cyan, white and black. The phone comes with Windows Phone 7.5 Mango OS, and features 4-inch WVGA 800×480 TFT capacitive touch screen, Snapdragon S1 processor, 256MB of RAM and 4GB internal storage. When it comes to photography the phone packs 5-megapixel auto-focus camera that can capture video in VGA resolution @30fps. Connectivity features include Wi-Fi 802.11 b/g/n, Bluetooth 2.1 + EDR, GPS/A-GPS, micro-USB and 3.5mm audio connector.